On behalf of United Way serving Howard and Tipton Counties’ Board of Directors, we would like to acknowledge that Abbie Smith, United Way’s President and CEO, has announced her candidacy for Mayor of the City of Kokomo. “We appreciate Abbie’s leadership and know that our organization will remain strong as it has for the last 90 years,” said Staci Lowery, United Way serving Howard and Tipton Counties Director of Operations. United Way will remain neutral throughout Smith’s candidacy. Staff and board members will continue to work hard as we fulfill the mission of our organization in fighting for the health, education and financial stability of every person in our communities.  The United Way of Howard County fights for the health, education, and financial stability of every person in Howard and Tipton Counties.